The IAHA has a number of youth hockey associations. Please use the menu buttons at the left to visit the IAHA youth association's web sites and contact information. The Boise Youth Amateur Hockey Association is a competitive travel ice hockey program serving the Treasure Valley. The Junior Steelheads are currently seeking young individuals in all age groups for their upcoming hockey season. Teams are being formed for the following levels: Squirt, Peewee, Bantam, U16 and U18. The Pepsi Recreational Hockey League is offered twice a year with spring and fall sessions. Played in a professional atmosphere with USA Hockey certified officials, scorekeepers and certified coaches. Full hockey equipment and USA Hockey membership are required. 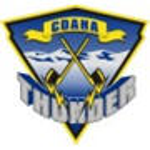 Coeur d’Alene Hockey Association (CDAHA) was started in 1999 and continues today as a successful youth hockey program. Our program is committed to instill character qualities such as leadership, sportsmanship, discipline, while improving hockey skills and helping athletes strive to play at various levels of competition. These qualities help improve not only the individual but the Coeur d’Alene, Post Falls and surrounding communities. The Lewis Clark Amateur Hockey Association (LCAHA) is dedicated to providing Hockey to the Lewiston and Clarkston Valley. The Palouse Youth Hockey Association (PYHA) is what it is today, because of the many hours that parents, players and families dedicate to our growing youth hockey program. PYHA is a 100% volunteer-run organization. The Salmon Hockey Association is a volunteer based group committed to bringing the joy of skating to the children in the Salmon area and their families. We work hard to provide a well maintained ice hockey facility, safe recreational skating and an instructional and competitive hockey program. Sun Valley Youth Hockey Association (“SVYH”) is committed to providing high-quality ice hockey programs for the young people of the Wood River Valley. Sun Valley Youth Hockey assists all participants in reaching their athletic potential by teaching skills that enhance the performance and enjoyment of ice hockey, while also developing lifetime skills of goal setting, commitment, self-discipline, determination, teamwork and sportsmanship. We are a growing program located in Teton Valley, Idaho. The quiet side of the Tetons. The Kotler Ice Arena is an outdoor rink with chillers, roof and regulation sized ice surface. We host 4-5, IAHA sanctioned tournaments each year in a fun and inviting atmosphere. We are a 100% volunteer operation with 130 players from Mini Mite to High School (Midget) with 32 volunteer coaches.